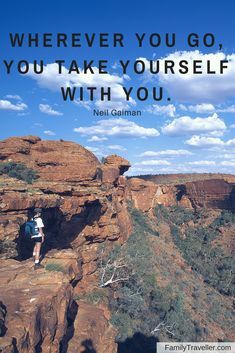 Wherever you go, you take yourself with you. Let this travel quote inspire your next journey. Family Traveller's travel guides will help inspire you.